The module help you save time to assign your products to categories. 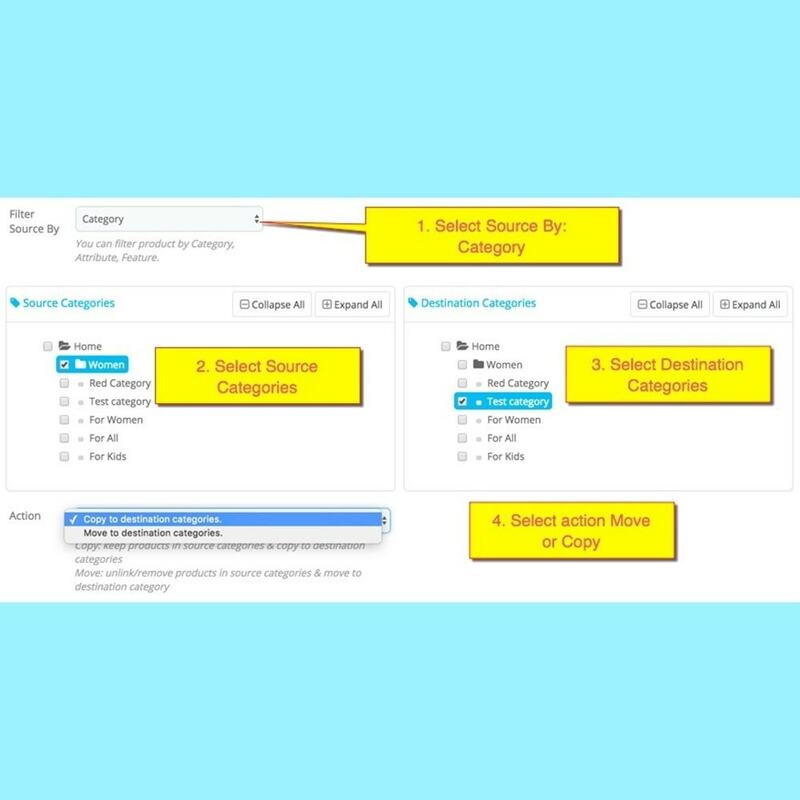 There are 3 main feature: Move or copy product between categories, assign special product attribute/feature to new categories. 1. Move/Copy product from one/many categories to new categories. The feature allows you to move/copy product from one or several categories to other categories. Select option MOVE or COPY. Select the product(s) that you want to move or copy. Select destination category (one or several categories) which you want to display the selected product. Click to confirm button to start move/copy your product. 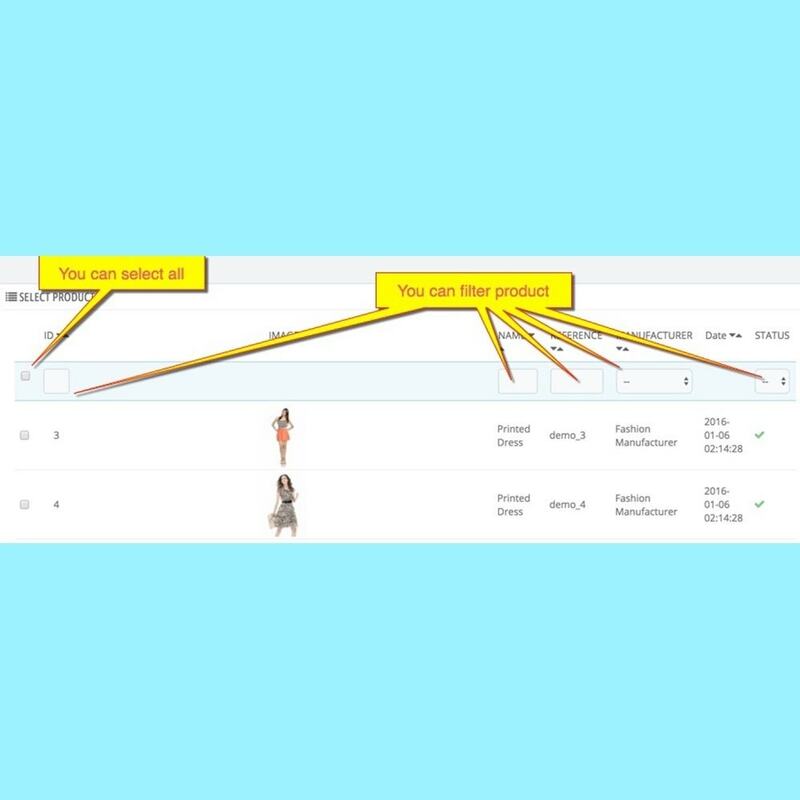 The feature allow you select product(s) by product attribute then assign the product(s) to new categories. Select filter product by attribute. Select attribute & attribute value. Select the product(s) that you want to assign to new categories. Select category (one or several categories) which you want to display the selected product. Click to confirm button to start assign your product. 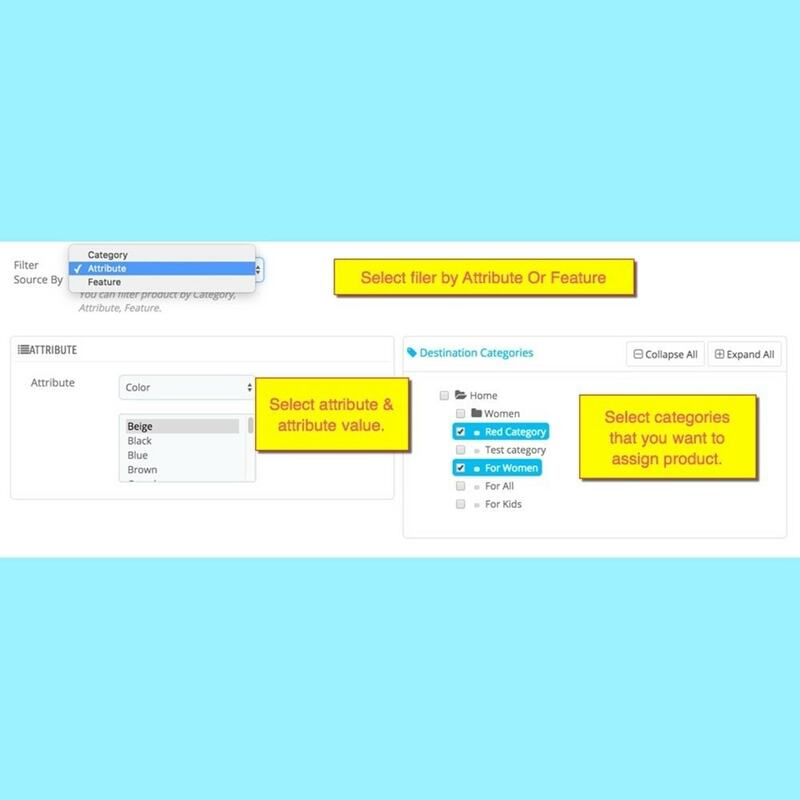 The feature allow you select product(s) from attribute then assign the product(s) to category. Select filter product by feature. Select feature & feature value. The feature help you to save time and easier to select product. After your products is displayed in the module. You are able to filter product by: id, name, reference, manufacture, status. The feature is very helpful when you have a lot product in your store. Move or copy product from one or several categories to new category. Assign product to new category by attribute or feature. Easy to select & filter product. If you need any new features, please contact us. We may not charge fee if the feature is neccessary for other customers.